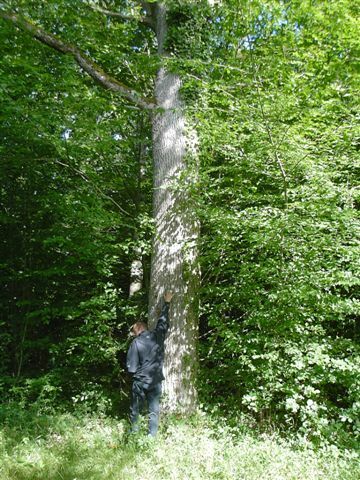 The Mighty Oak – The most versatile timber in Europe! What a grand name for one of our favourite natural species, to give it its full botanical name ‘Quercus Robur’. It has to be one of the most versatile European species, indeed probably one of the most versatile in the world. But then, I am biased – being Oak sawmillers!! So what can you use Oak for then? Well its quite a long list. Building – for constructional purposes ….. beams, (Oh! 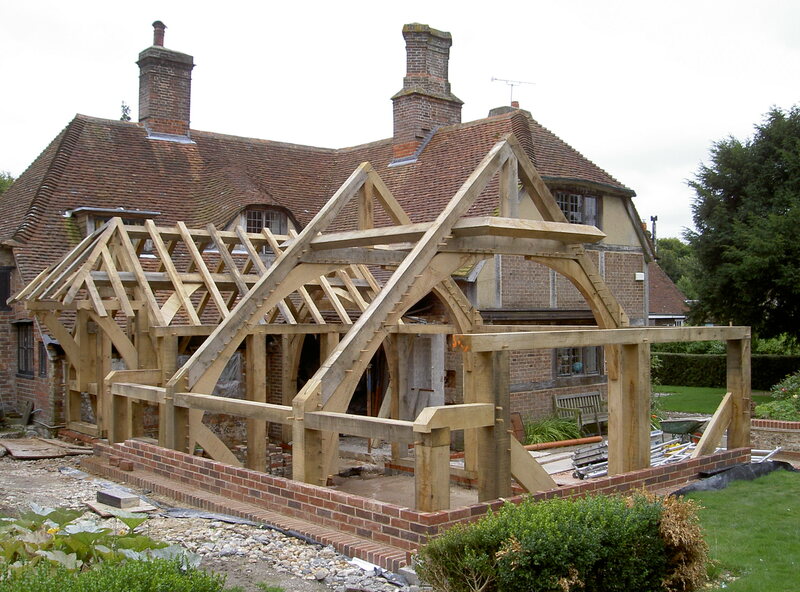 by the way, did you know that in a fire an Oak Beam behaves better that a steel joist? The Oak will charcoal on the outside and give the inner timber a bit of protection whilst still maintaining strength, where steel gets soft in heat and will bend. Of course nothing will survive a severe fire, but it is an interesting point). 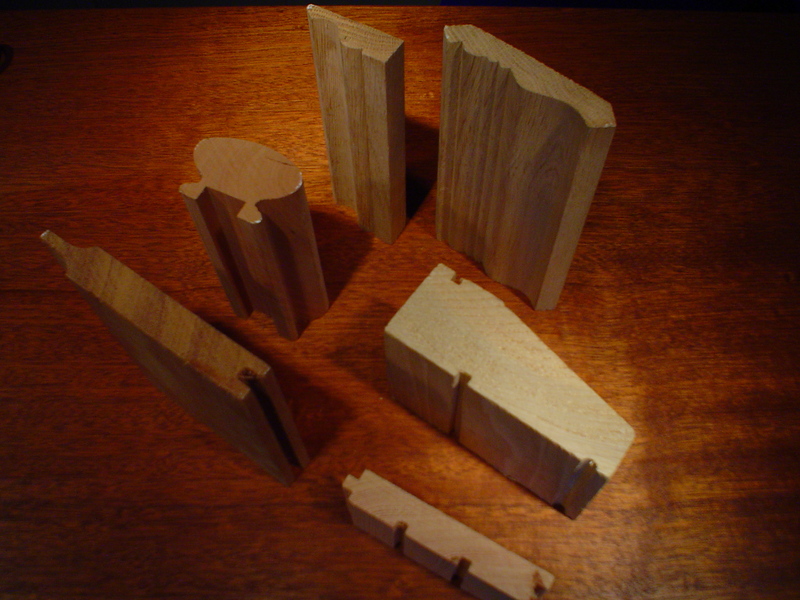 Joinery – windows and doors, the heartwood of Oak has good durability even when left untreated, the sapwood will decay and be susceptible to insect attack, the heartwood is not. 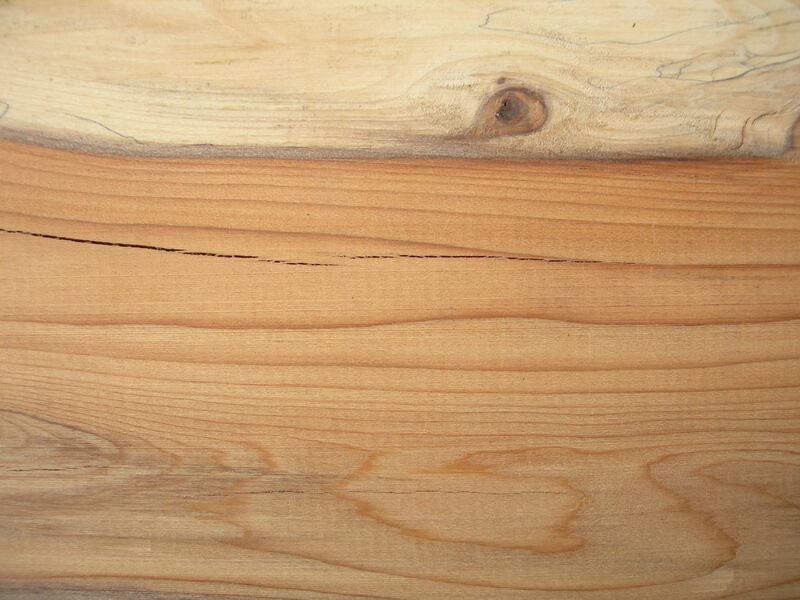 When treated correctly with a good timber treatment it will last even longer. Untreated it will turn a wonderful silvery grey. Flooring and second fix items – By second fix we mean skirting’s, architraves, picture rails and much more. Flooring can be strip or parquet. Used internally the sapwood performs as well as the heartwood. The only difference is that visually it can be a quite different colour. We have many discussions with customers on this subject, from our point of view it is not considered a defect and will be measured in when we sell Oak plank. Furniture makers do not always like it. But it can give a stunning contrast in the right place. Furniture – Of course, furniture has been made from Oak for centuries, and most of it will outlast us. Tables, Chairs, Beds, Dressers the list is only limited by our imagination. 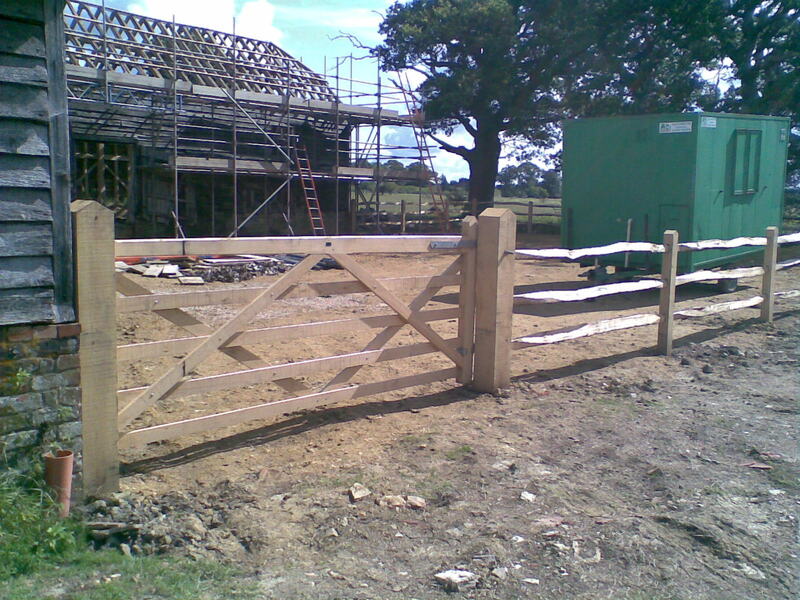 Fencing & Gates – A traditional Oak fence will last years, match it with a beautiful hand made gate, and your garden and property will look amazing. Oak gates are something that we pride ourselves on. Our family has been making gates for decades, I could probably say centuries. Around Sussex, Surrey and Hampshire you can see examples of our craftsmanship that were made 30 or 40 years ago and are still is service. I’ve probably missed a lot of uses out, so tell me in a comment. What do we look for when we buy Oak? 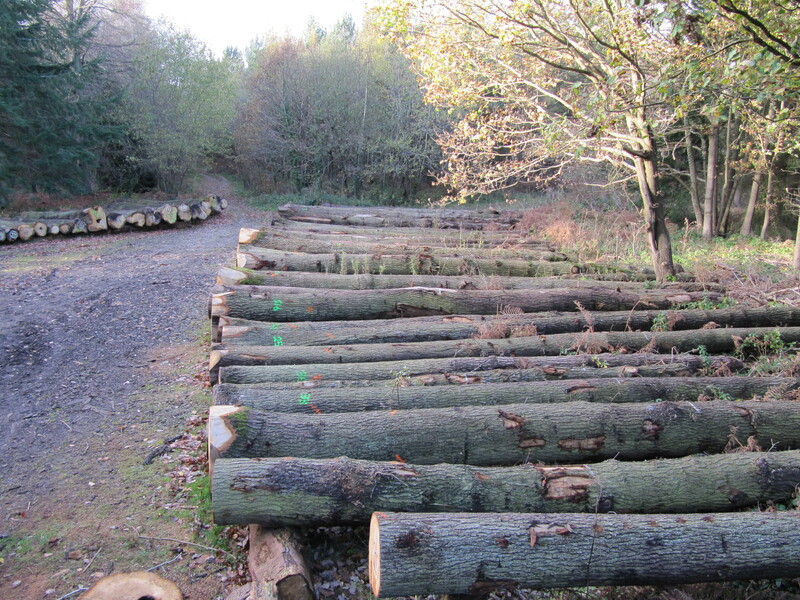 Well, if we are buying Oak logs we generally prefer to buy when the trees have been felled and are at roadside. This enables you to get a better idea of the quality of the timber. Is it straight? Does the bark twist in a spiral? This often indicates twist in the timber as well, as the bark will normally grow in the same direction as the grain of the tree. Has it got ring or star shake? 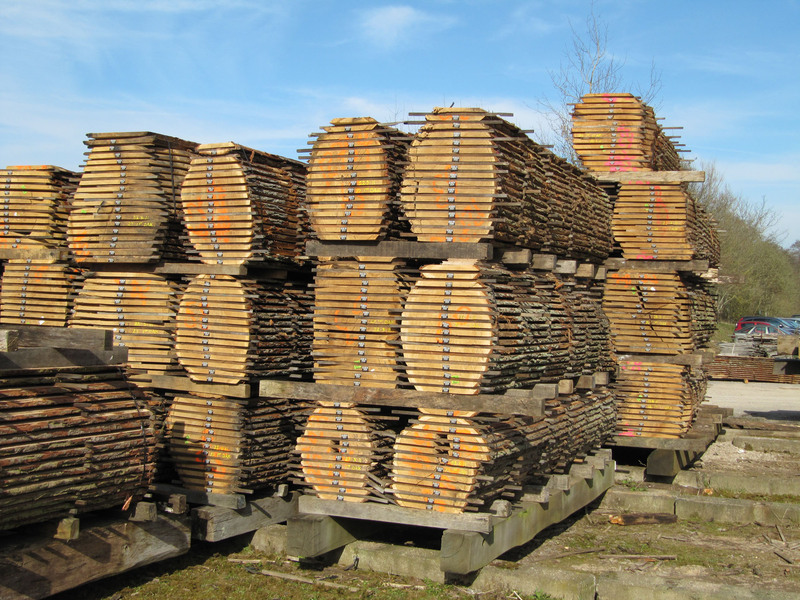 This can sometimes be caused by the type of ground it is grown on and will almost definitely result in stresses in the timber, which will cause problems when cutting or machining it. Can we get a good length to the first major stop? By this we mean to the first branch, clearly, where the branches are there will be what we term ‘a defect’ inside the log – a knot. Some small knots are acceptable, indeed they can disappear inside of the log. But larger ones cannot be worked around, especially if they are dead knots. Oh, yes, Dead knots are loose and in some cases have fallen out resulting in a hole, live knots are permissible dependant on size – these are ones that are firmly in place and have no chance of falling out. Has it got good colour or is it patchy? Colour can sometimes run quite a way into the log, and sometimes it will taper out in a few centimetres. On occasion we find a Brown Oak log, this is where a fungus called Fistulina hepatica or more commonly known as beefsteak Fungus. A good consistent colour right through the tree is great and we can do something with it, but all too often it can be seen at the base, but not the top and will only go a few feet in, this then causes a patchiness of colour – which again, not all of our customers will accept. So, what about sawn Oak? Well we do buy in two different forms, Through & Through (waney edged where we sliced the tree into plank but left the shape of the tree) and Square Edge where the timber has been cut to dimensions. In the main we use much of the criteria used on buying a tree and apply it to both of these methods of buying – is it straight grained, free of unacceptable defects (knots), good colour, minimal splits, minimal surface checking. We do buy Through & Through already kilned from Europe, but we inspect and reject. Each plank is turned over and inspected and either accepted or rejected. We only buy what we feel meets our customers requirements. With square edge, this is graded more specifically and we can choose the grade to fit our customers needs. So, what are the benefits? Well, by buying Through & Through that is already kiln dried, we can get it to market immediately. 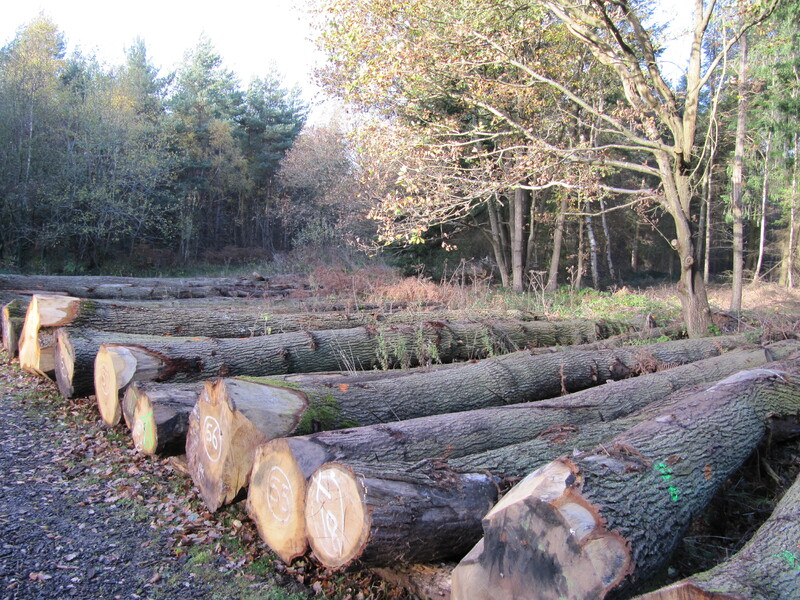 If we had cut it ourselves we would have had to air dry it for 1 year for each 1″ (27mm) thickness. Now, we do still sawmill our own logs but we also purchase kiln dried as well. Its a good mix. With square edge we have the same benefits as Through & Through, plus we have now reduced the wastage by cutting it to widths. Theses are random widths and we sell ‘as arising’, meaning from the top of the stack. So we have again additional benefits. Well, I am sure I have missed masses out about The Mighty Oak, but I guess you get the message – it is probably the most versatile European species available!! ‘Its a piece of wood we can do anything with it’ !! Can we? There is no doubt that timber is without doubt the most versatile raw material on this earth, but sadly many users really do not understand its properties and what you can and can’t do with it. There are many questions that need to be asked: Is it being used externally? Does it need to be structurally strong? Is it being used for painting? Does it need treatment? Does it need to be easy to work? These are but a few of the questions that need to be considered when you select a species for a project. So, would you, for example, use Beech for external joinery or fencing – the answer is no, Beech is not a durable species and should not be used outside. Oak in contrast is durable and can be used externally very successfully, however, the sapwood on Oak, indeed all species is not durable and will be susceptible to decay and insect attack. In contrast, sapwood is perfectly acceptable to use inside. I know, I know, I know, some of the cabinet makers and joiners out there will say the contrast in colour is not acceptable!! 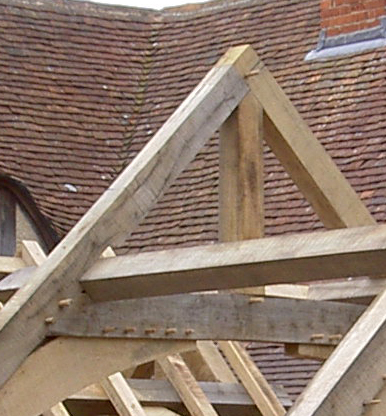 Well, from a timber merchant’s point of view, sap on Oak is not a defect, so we count it in. On another tack, would you use American Black Walnut if you wanted a painted finish – No of course you wouldn’t, far too precious a resource and expensive. 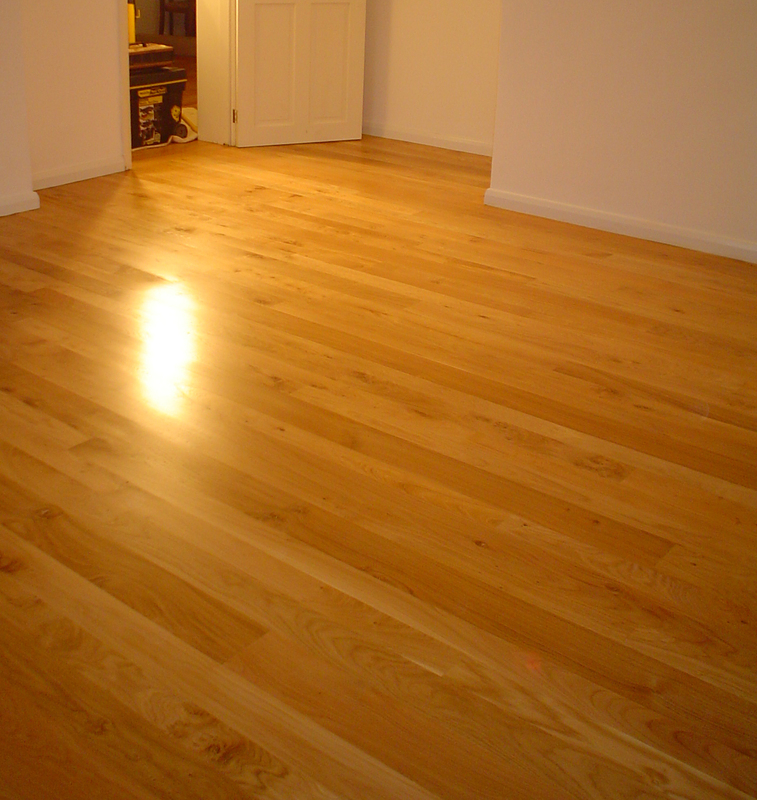 You would choose a joinery grade softwood or inexpensive hardwood such as American Poplar. Generally softwoods are used for strength and hardwoods for aesthetics – albeit we do have graded structural hardwoods readily available. We still get many requests for timber not suitable for the end use. There are still some unscrupulous traders that would just sell what they are asked for. This can result in a disaster for the customer. We try to get to know our customers, especially if it is the first time we have met them. We want to understand their requirement, to make sure we supply not only to their requirement but also to suit the end use. Talking to our customers is key – we call it ‘hand holding’. So – Questions, Questions, Questions – we are here to help. I guess what I am trying to say is that timber is not just ‘a piece of wood’. Each species has its own character, beauty and abilities for end uses. Our customers do not always understand what species can or can’t do, we do, so – please ask us, we would rather take that extra bit of time to ensure a satisfactory outcome rather than rush and have a complaint.